Bioinformatics comprises a huge number of databases and methods. In collaboration with the Freudenthal institute we developed a tool that can help you to guide you through the enormous and often confusing amount of possibilities. This tool can be downloaded here. 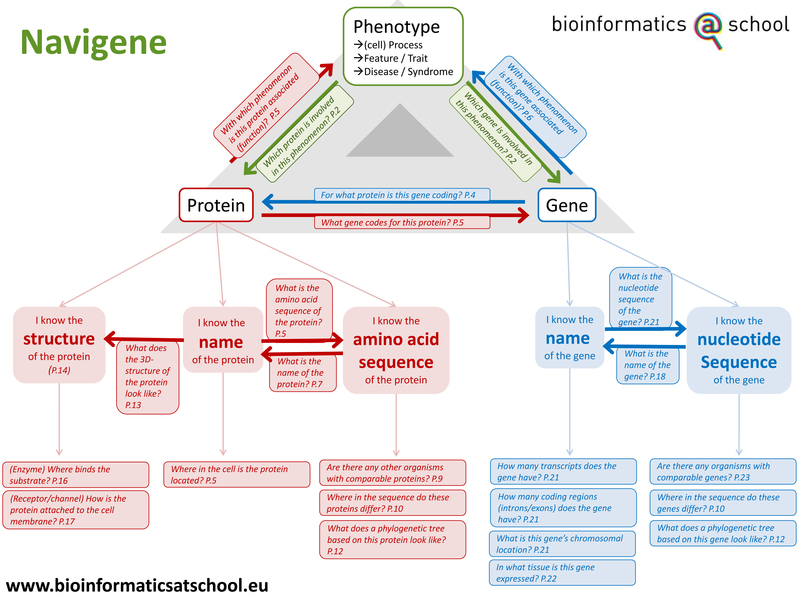 Yearly refresher courses are organised in which we will elaborate on NAVIGENE extensively, and you will quickly be able to make your own assignments to use in class. We offer these refresher courses once or twice a year. We also offer these courses on demand. Feel free to contact us to discuss the options. We are present at most of the teachers conferences and meeting all over the country, where we supply workshops and supply information.